The question of when to drink Shakeology comes up constantly, and with a supplement like Shakeology that has so many advantages, you want to be sure that you are drinking it at the right time in order to maximize those advantages! Shakeology is a phenomenal meal replacement that is make up of over 70+ whole food ingredients to help you lose weight, increase energy and immunity, improve digestion and regularity, and it can even lower your cholesterol. 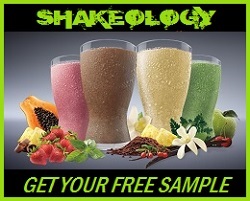 I want to take a look at all your options for when you can drink Shakeology, but first – if you have not tried Shakeology, be sure you contact me for a free sample so that you can experience the awesomeness that you have been missing out on, lol. Its important to note that even though Shakeology is a meal replacement, you can certainly drink it at any time outside of your three primary meals (breakfast, lunch, and dinner). 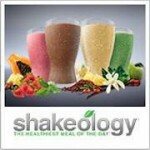 I eat 6-7 meals per day and depending on my schedule, I might have Shakeology at any one of those meals. 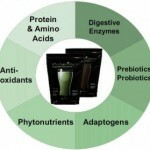 The convenience of Shakeology it what makes this meal replacement so effective! Its not like some other mainstream junk shakes like Slim-Fast where you HAVE to have one for breakfast and lunch or else you gain 900 pounds. So its not so much of an issue of when to drink Shakeology, but when is the best time FOR YOU! Convenience – I work 50-60 hours per week and have 2 kids that I have to get ready for school and cart around all the time. I dont have time to whip up an awesome breakfast, but I can certainly toss some things in a blender and push a button! Its seriously that easy and it works perfect for the person who is busy like myself. It works perfect for me to drink Shakeology for breakfast. It gives me a ton of energy for the rest of the day and my mornings, like I said, are pretty chaotic with getting the kids ready. It also works perfect for me on the road when I travel for work. I can get through security with it since its a packaged powder and I can mix it up in my shaker cup anywhere I can find water! Pre Workout – When it comes to a pre workout, you COULD use Shakeology…But I would rather see you take something that is going to give you a full dose of BCAA’s (Branched Chain Amino Acids) to promote recovery like a scoop of whey. In addition, most pre workout supplements include some sort of nitric oxide booster to promote blood flow which is a huge plus when it comes to workout intensity. Also, Shakeology is not going to give you the energy shot that most pre workouts will since it does not contain heavy doses of caffeine. 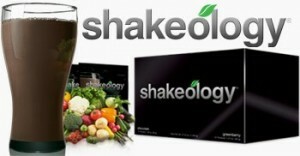 Do I recommend using Shakeology as a pre workout, NO – there are better, more efficient options. Can you, Yes. 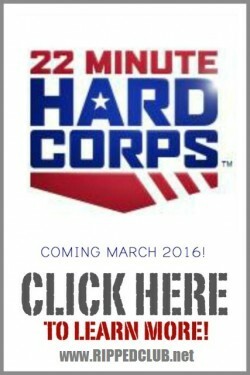 Just be sure you take it about 30-60 minutes prior to your workout. 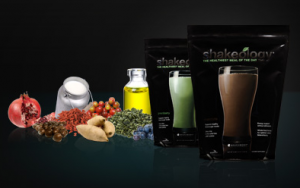 Post Workout Recovery – This is actually a great time to use Shakeology! Your body is begging for nutrients and Shakeology is packed full of them! If you had a crazy intense workout though, then you want to be sure you try and stick to that 4:1 carb to protein ratio that promotes protein synthesis via all those simple carbohydrates that spike blood insulin levels. 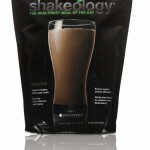 Chocolate Shakeology has 17g of carbohydrates and 17g of protein. To hit the 4 to 1 ratio, you would need 68g of carbs. Thats quite a bit and can really throw you off if you are on a fat shredder plan. What you can do is use a half scoop of shakeology and add a banana or some other fruit to your shake to meet that ratio. Prevention – If you find yourself in a situation where you have intense cravings…Shakeology can be the solution to those cravings and the answer to your questoin of when to drink Shakeology (NOW, lol). The sweetness is satisfying and the nutrients tell your brain that it got what it wants! No more cravings! 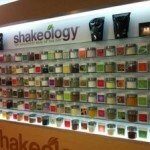 So the answer on when to drink Shakeology? Drink it with a result in mind…Doesnt matter when. When do you drink Shakeology? Let us know your reasoning and we might change our ways, lol.